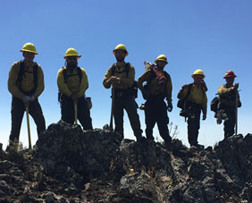 Federal fire policy requires that Fire Management Plans, programs, and activities support land and resource management plans and their implementation. Federal fire policy also requires that agencies incorporate fire as a critical natural process into their land and resource management plans and activities on a landscape scale and across agency boundaries. In order to accomplish this, federal fire managers are actively involved in the development of these plans. As it is an important step for the public to engage in agency planning efforts, we have provided the following links to federal agency land and resource management planning websites. Click on the links below to see agency land and resource planning processes and schedules.